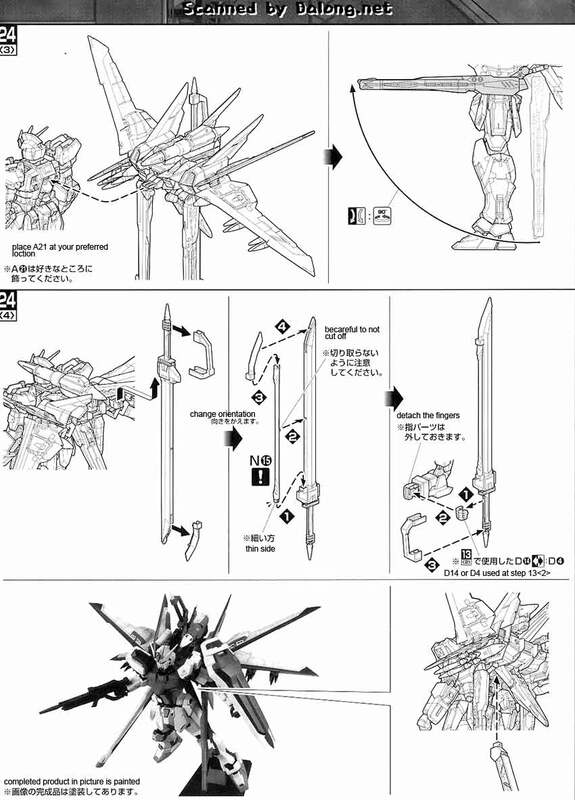 Released last year by Bandai was the Strike Rouge with Ootori as a 1/100 Master Grade model kit from Gundam Seed. 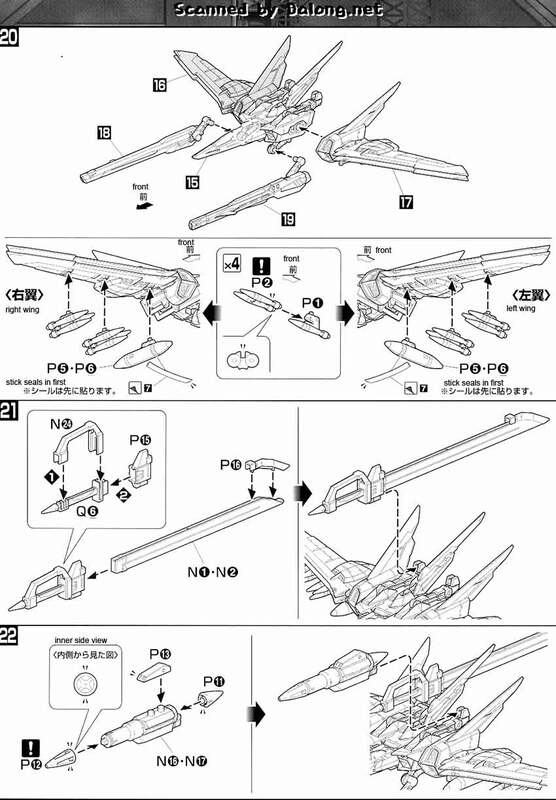 The Strike Rouge was piloted by Cagali Yula Athha from the Gundam Seed series. 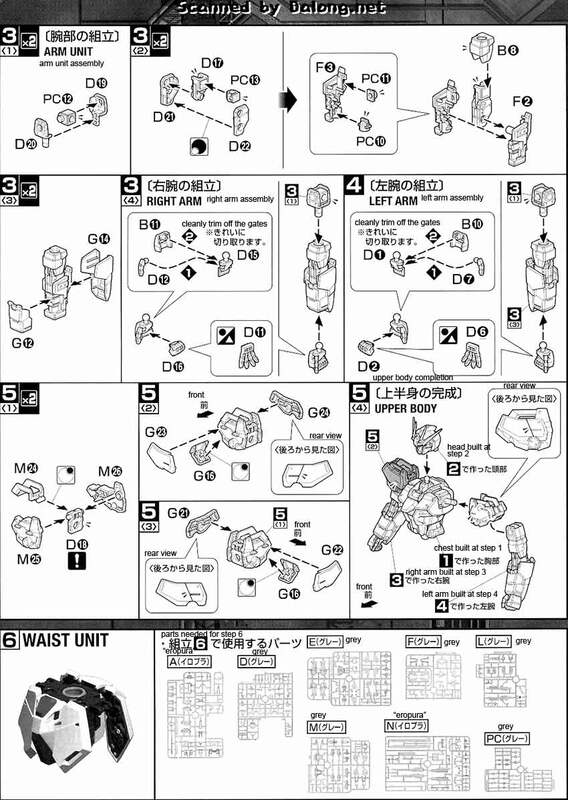 Cagali is an Orb princess and can be seen in the first episode as a representative of Orb observing the construction of the Gundams in the hidden Earth Federation base. 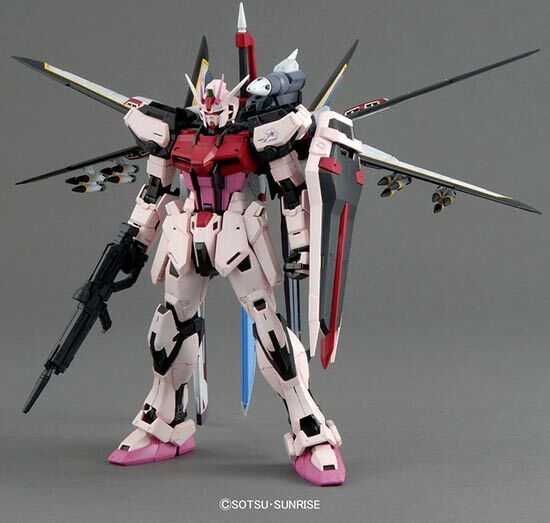 Of course we all know what happens next when Athrun and his pals hijack the Gundams but leaving the Aile Strike to fall in series protagonist, Kira Yamato's, hands. 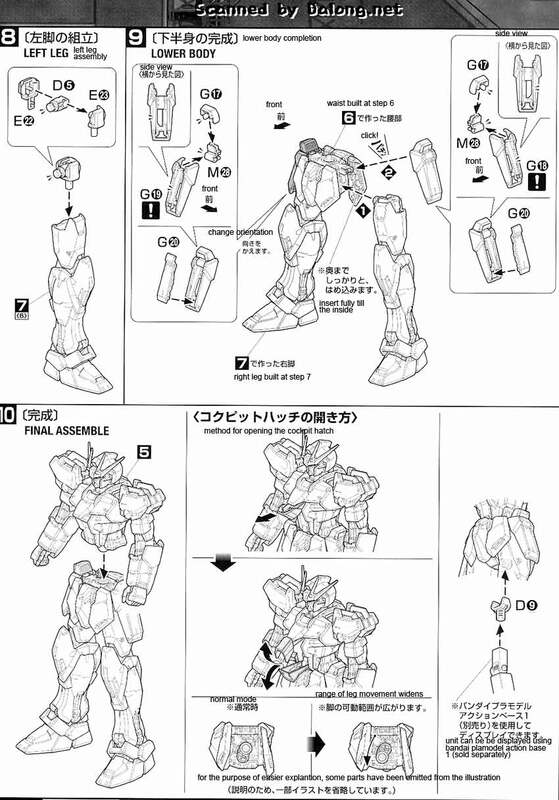 The Strike Rouge was based off of the Aile Strike and was seen in the latter parts of the series. 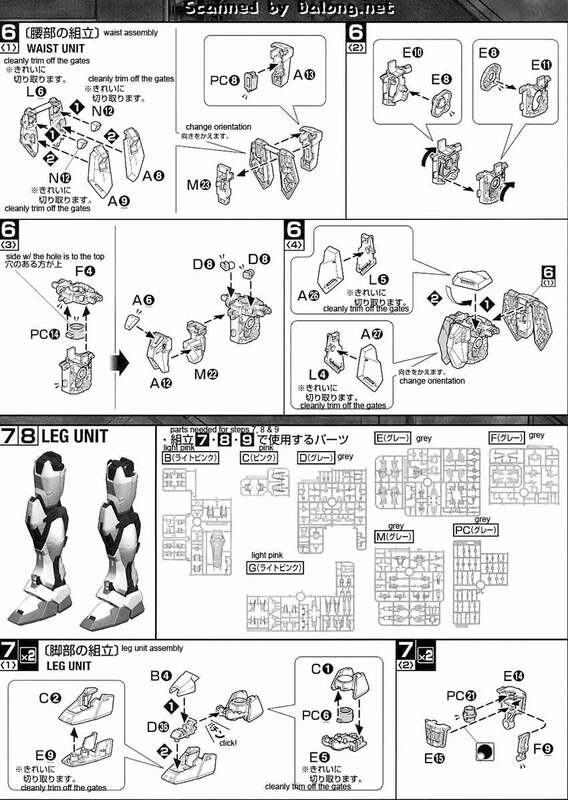 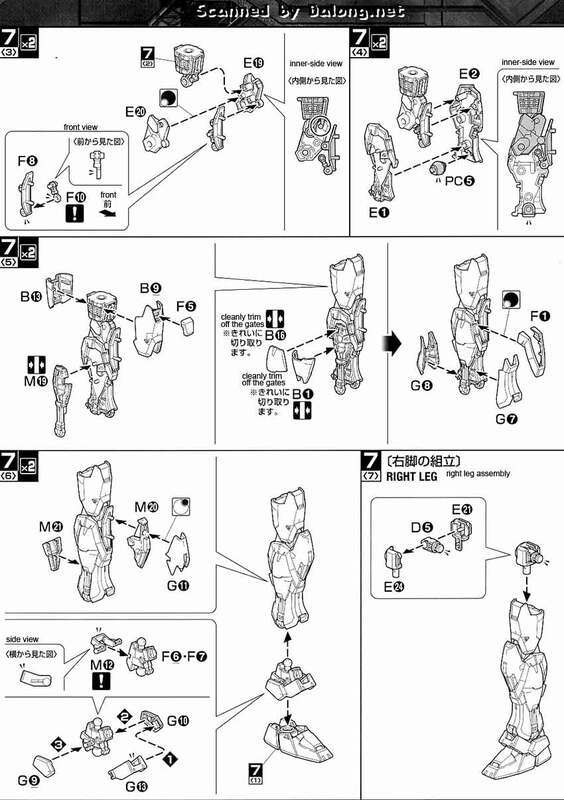 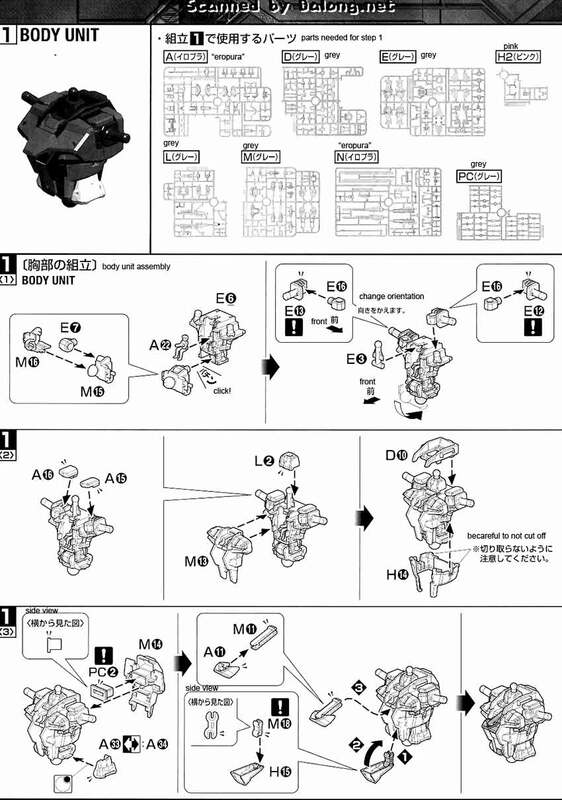 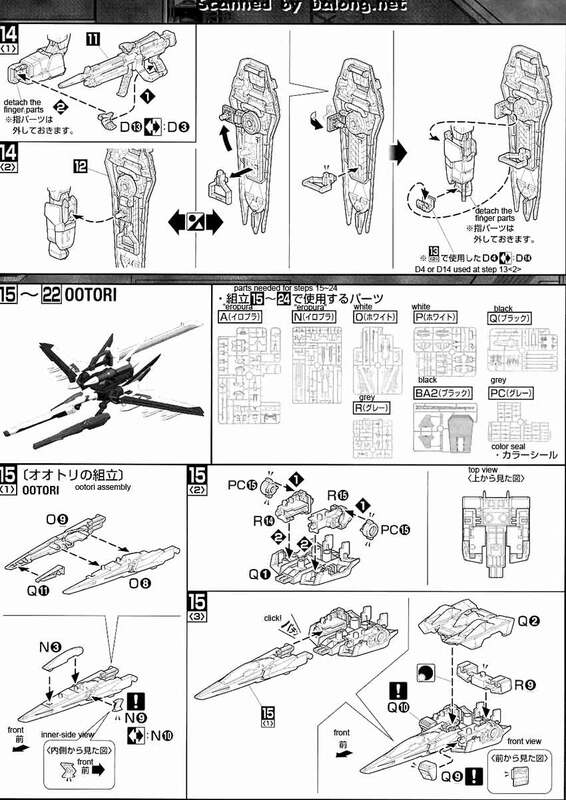 Construction Manual & Color Guide for the MG Strike Rouge + Ootori was translated to English from the Japanese manual posted at Dalong's Gunpla & Model Kit Review site. 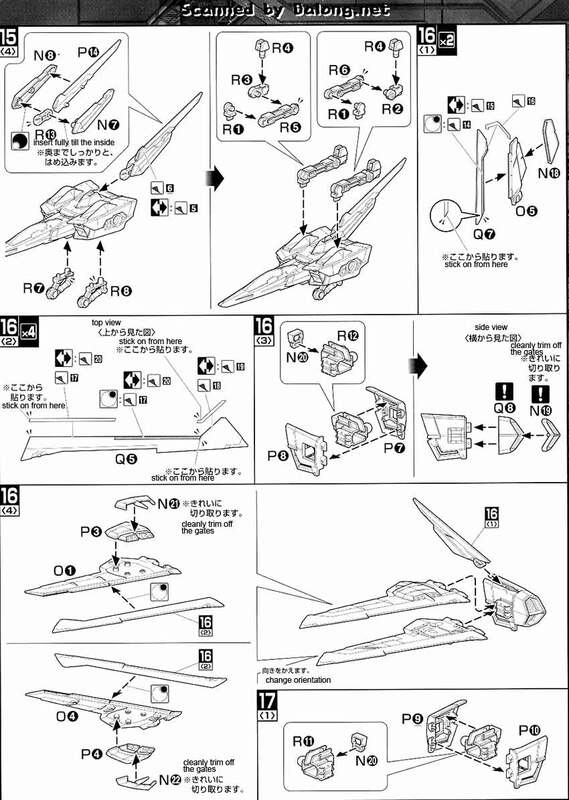 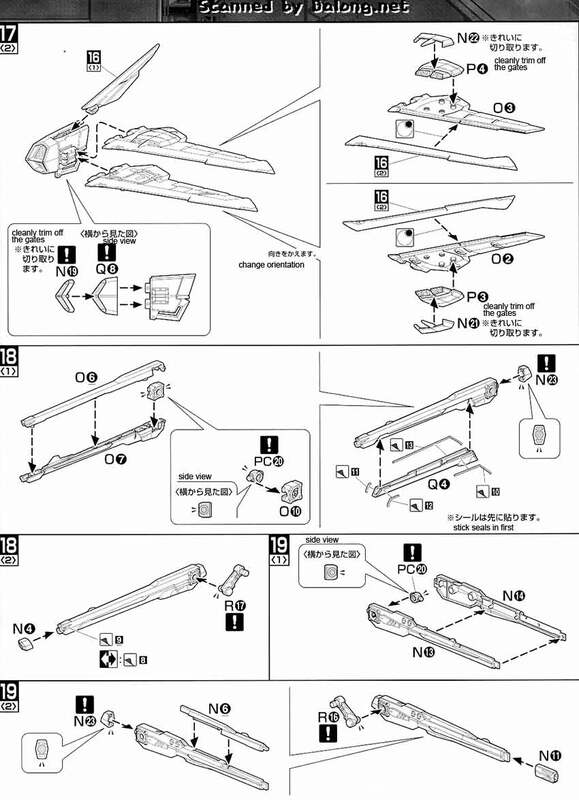 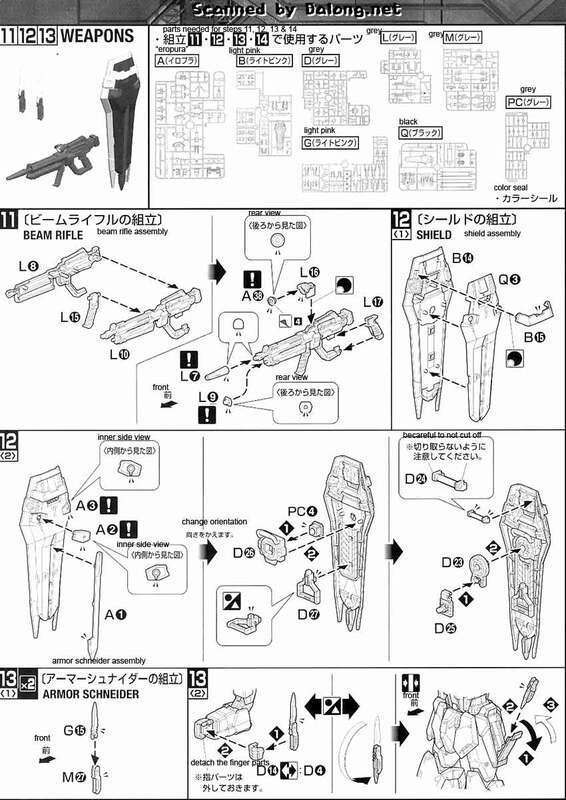 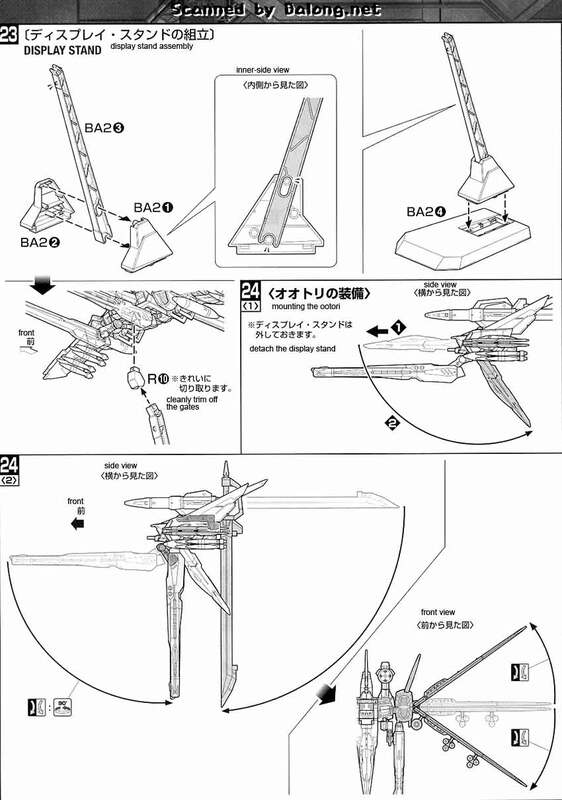 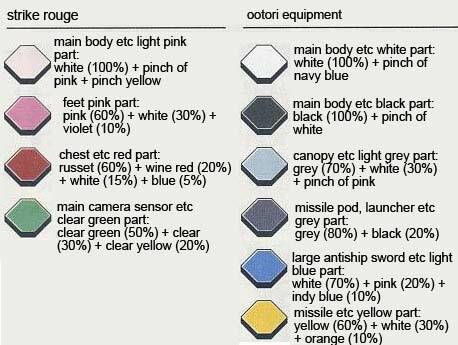 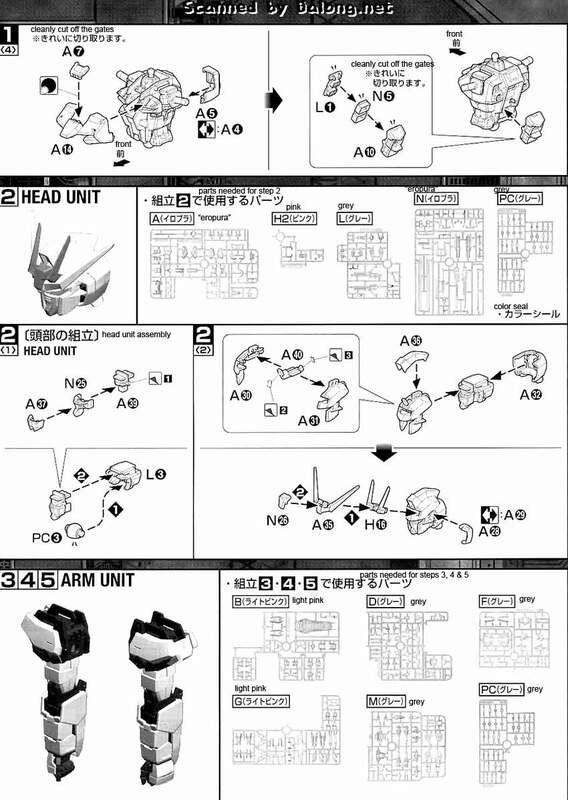 For the meaning of the symbols found in the model kit's manual kindly refer to this old post.